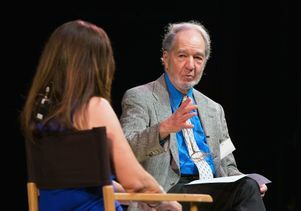 Jared Diamond explains that religion in its earliest forms was used as a tool to find a supernatural explanation of the natural world by those who had little scientific understanding of the universe. 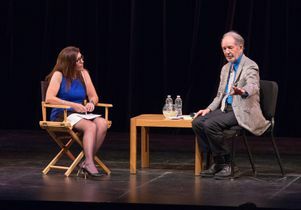 Diamond asked the audience in Schoenberg Hall to set aside for at least for an hour any preconceived or deeply rooted faith-based personal belief system, step back and dispassionately observe the utilitarian functions of religion and how they evolved over the course of history. He lightheartedly likened the process of observation and study of religion to one that might be undertaken by an extraterrestrial traveler from the Andromeda Nebula. Such a traveler, Diamond pointed out, would possess heightened intellect and technology and likely be observing us with a deep understanding of science. “Of course, any civilization intelligent enough to launch a spaceship is also intelligent enough to have the means to destroy itself ... just as is the case on Earth,” Diamond quipped, often dropping humorously ominous hints that the human race will do just that sometime in the year 2043. More recently, religion has been used to teach obedience toward political leaders, said Diamond. An intergalactic traveler interested in religion would find that it did not exist at all 6 million years ago when our ancient evolutionary ancestor, the chimpanzee, ruled the Earth. But dating back as far back as 40,000 years ago are early signs of religion found in cave paintings of human burial in the Chauvet and Lascaux region of what is now southern France. “Religion certainly existed 5,500 years ago at the time of the first human writing,” Diamond said. ”And a good guess is that human religion actually began to evolve around 70,000 years ago with the emergence of behaviorally modern homo sapiens and the first convincing signs of art and rapid invention and advanced intelligence.” The physiological development that allowed for more sophisticated language among homo sapiens also likely contributed, he said. 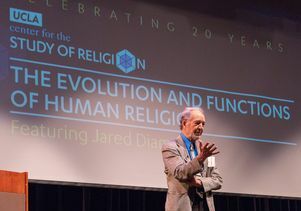 Studying the evolution of religion reveals six major utilitarian functions for humanity, Diamond said. From its earliest forms, religion has served as a tool for finding a supernatural explanation of the natural world, absent scientific understanding of the universe. Another early function of religion is diffusing anxiety over dangers beyond human control. As scientific knowledge has increased, these two functions of religion have decreased, Diamond noted. The third function of providing comfort — especially in the face of pain, suffering and mortality — was also present early in the evolution of religion, but this function has increased as humans evolved. The final three functions of religion are almost entirely rooted in population growth and the emergence of centralized governments, he said. None were present in traditional tribal societies 8,000 years ago. And none are present in traditional societies that still exist in the modern age, Diamond noted, often referring to his decades-long work with tribal cultures of New Guinea. “Those new functions of religion have been to teach obedience toward political leaders, to justify the moral codes of peaceful behavior toward strangers within one’s own society and to justify moral codes of killing enemies belonging to other societies with which one’s own society is at war,” he said. Looking toward the future — if we don’t blow ourselves up in the year 2043, he added — there are two possible routes for the continued evolution of religion. And for those who find scientific explanations lacking, or reject them wholesale, religion will continue to be embraced because it lends meaning to individual lives and deaths, which are insignificant from the perspective of science, he said. “If, on the other hand, much of the world remains mired in poverty or continues to deteriorate, then all functions of religion — maybe even supernatural explanations — are likely to undergo resurgence,” he said. 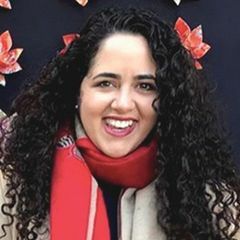 It will be the UCLA undergrads of today, who will be approaching their 50th birthdays in the year 2043, who will know the answers to those questions, Diamond said with a grin. Diamond also noted that, as of this year, he has been teaching at UCLA for 50 years and plans to be here for “a few more,” though happily retired long before 2043. 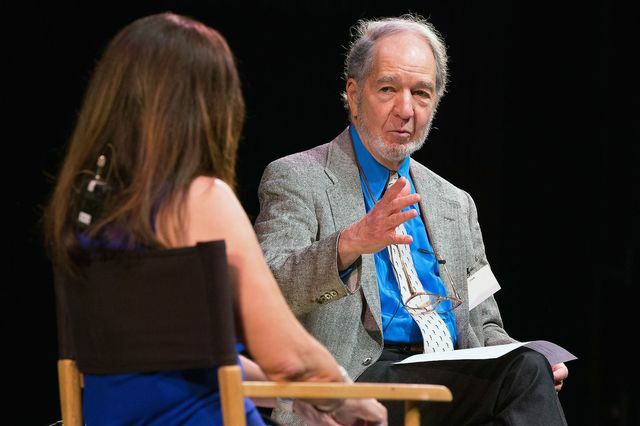 Damond's lecture was given at a celebration of the 20th anniversary of UCLA's Center for the Study of Religion.